Gear, Retail, Rentals, and More! There are fly shops - and then there is East Slope Outdoors. We offer the BEST, MOST KNOWLEDGABLE STAFF AND GUIDES IN TOWN, whose mission it is to infect you with their love of fishing. At East Slope Outdoors, you won't find flyfishing elitism or snobbery. The only attitude you'll find here is an ENTHUSIASTIC AND FRIENDLY one. 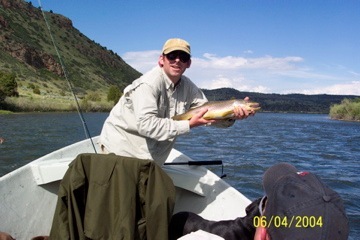 Whether you are SHOPPING FOR GEAR OR HIRING A GUIDE SERVICE, we promise you a SAFE, MEMORABLE, ENJOYABLE EXPERIENCE. We love to introduce kids to flyfishing! Owned and operated by "SUPER DAVE" ALVIN, who spends more time on the river than anyone in town - just ask around - East Slope Outdoors is THE place to go for SUPERIOR SERVICE AND INFORMATION YOU CAN COUNT ON. When you step through the door, you can be sure you will not only be greeted with FRIENDLY SERVICE, but with RIVER KNOWLEDGE THAT WORKS. 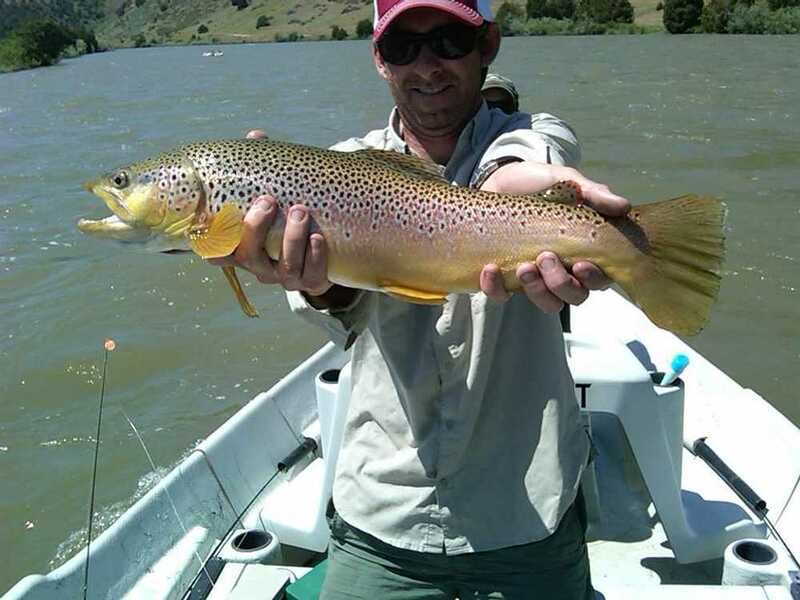 Not only do we have the largest crew in town, but OUR STAFF AND GUIDES ARE LOCALS WHO FISH. EVERY DAY. And not only do they know what flies work, they make sure those flies are in stock. East Slope Outdoors has the LARGEST FLY SELECTION IN TOWN, HANDS DOWN, WITH LOCAL PATTERNS THAT ARE CATCHING FISH - NOW. As THE ONLY ORVIS SHOP IN TOWN, you can guarantee you'll get QUALITY GEAR DEVELOPED OVER 150 YEARS AND BACKED BY THE INDUSTRY'S BEST WARRANTEES. The staff at East Slope Outdoors USES THIS EQUIPMENT DAILY, and can hook you up with just the right outfit, whether it's small stream fishing with a 6-foot 1-weight, or high-stick nymphing with a 10-foot 5-weight. And don't worry, if you just need a starter outfit, WE CAN RECOMMEND JUST THE RIGHT PACKAGE for you too. 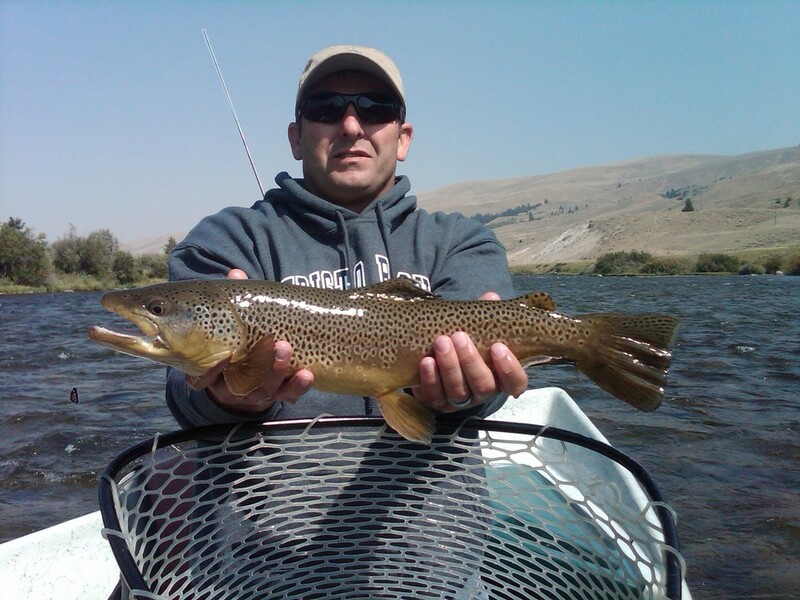 We service all the BLUE RIBBON RIVERS OF SOUTHWEST MONTANA - the Gallatin River, Madison River, and Yellowstone River to be sure, but tributaries and lakes as well. And if we haven't been there, WE WANT TO LEARN FROM YOU TOO. Because that's what it's all about! IF THERE IS ONE THING YOU CAN COUNT ON, IT'S THAT YOU WILL ENJOY YOUR EXPERIENCE IN OUR SHOP. COME ON DOWN AND SEE THE DIFFERENCE! 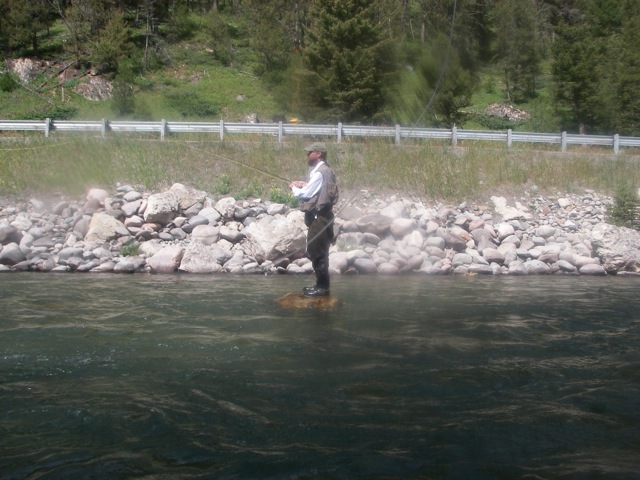 Established in 1986, we're one of Big Sky, Montana's oldest independently-run fly fishing and ski rental shops. We're located just 100 yards south of the Big Sky stoplight - a stone's throw from fishing on the Gallatin River, and right on your way to skiing at Big Sky Resort or Moonlight Basin. Whether you fish, ski, or just enjoy the outdoors, stop in and see us. You'll get no gimmicks...just great gear! Look for the giant fish! We're located just 100 yards south of the stoplight in Big Sky, right on your way to the Resort. Credits: Images on this site belong to East Slope Outdoors and may not be used without permission.